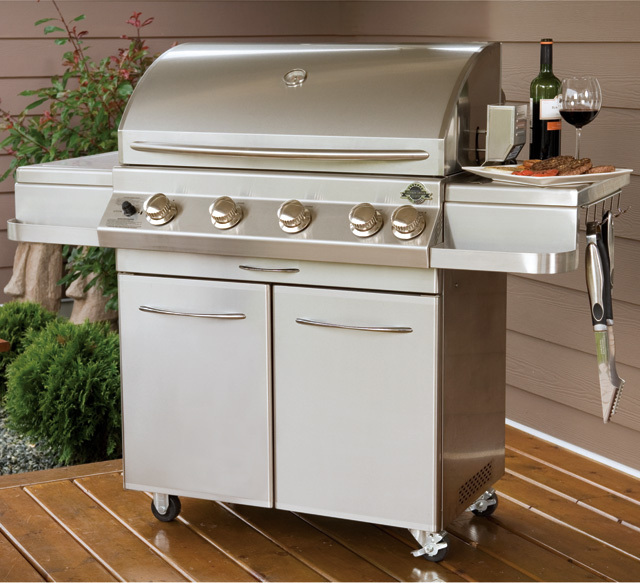 The Premier 700 Cart Model features our 13,500 BTU stainless steel infrared rotisserie burner. The rotisserie burner projects intense, radiant heat evenly through your meat to help you create perfectly browned, juice-filled roasts every time. The Premier 700 Cart Model features a one-piece seamless welded control panel, seam-welded exterior edges, curved stainless steel double walled hood and a simple, uniform closed-seam design. The result is a high-end polished surface that is easy to clean and easy on the eyes.